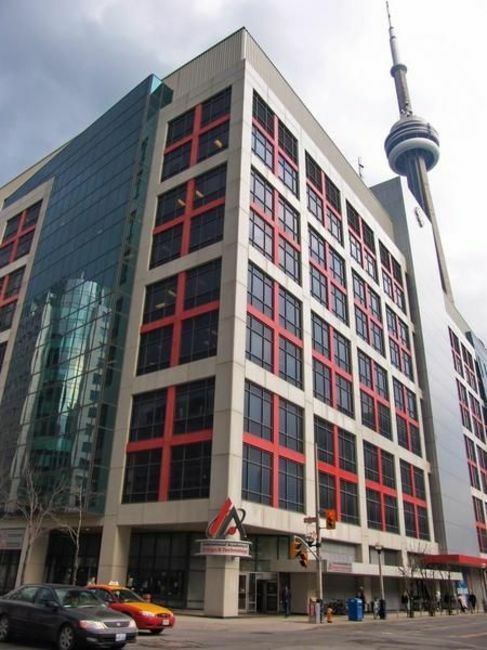 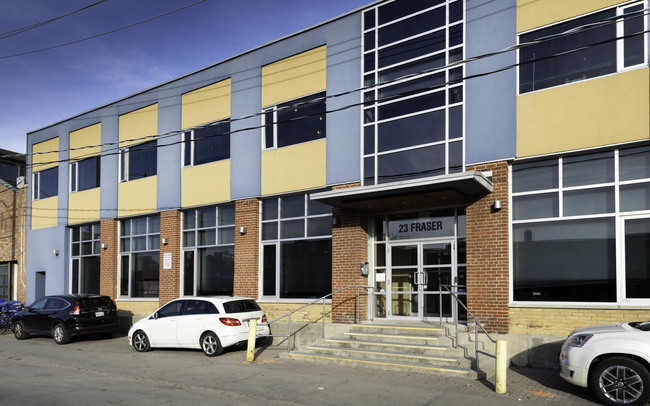 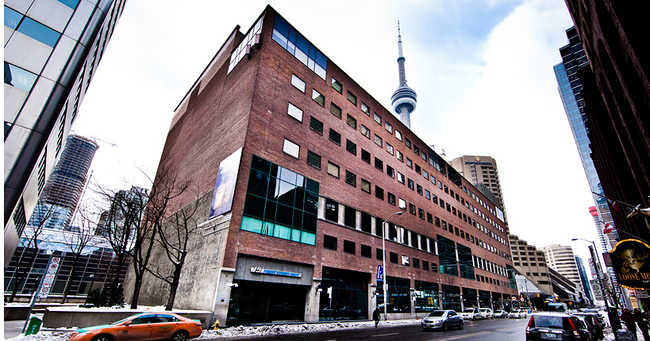 151 Front Street is Canada's largest carrier hotel, where the telecom, Internet service providers, and content companies colocate to exchange traffic (peer) between their respective networks. 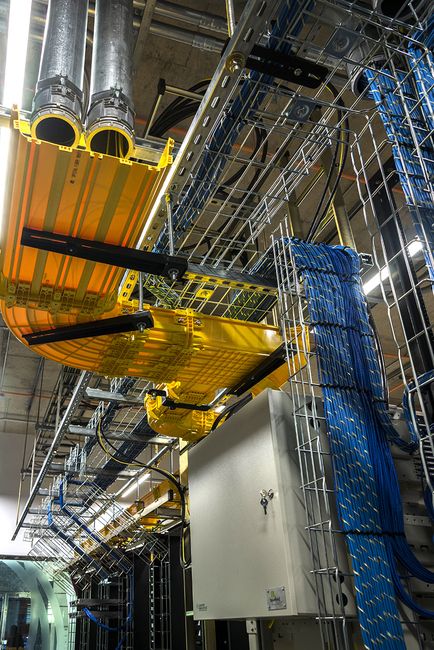 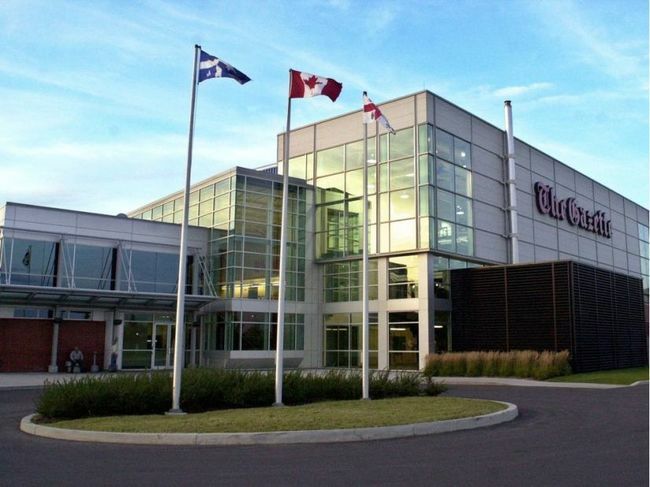 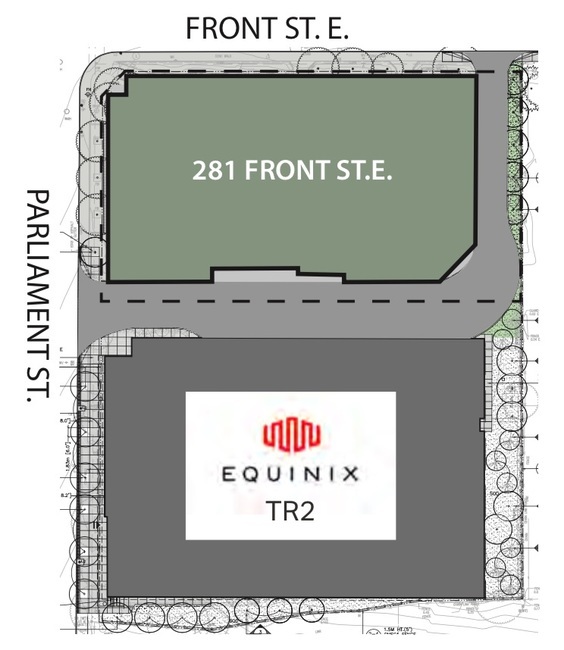 Equinix's facilities in Toronto has a long history that includes several acquisitions. 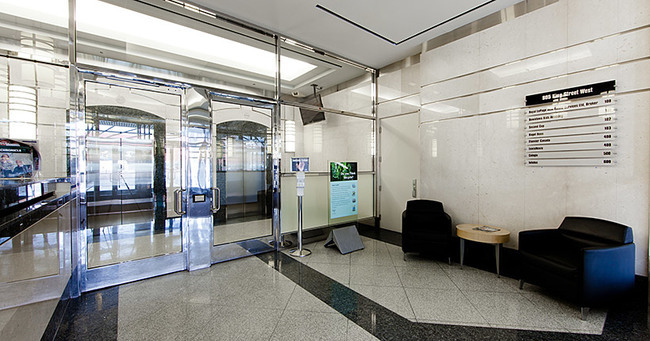 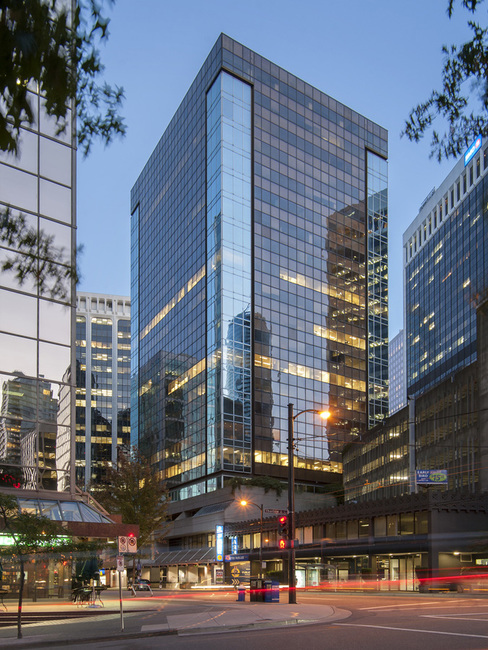 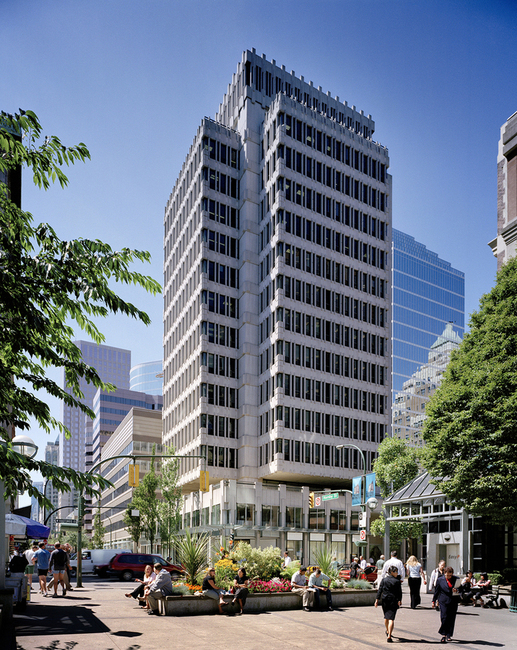 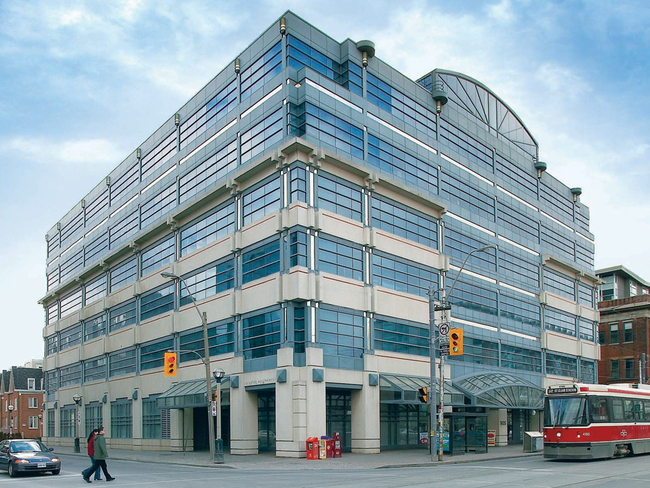 The original suites now operated by Equinix at 151 Front Street began with RACO, a Canadian company that Switch and Data acquired in 2004. 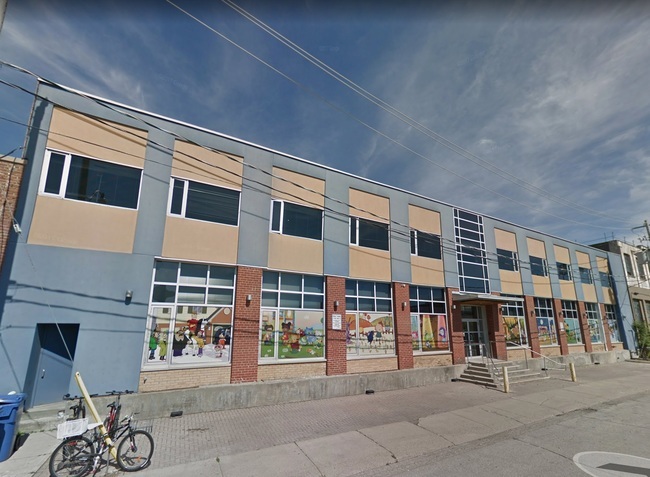 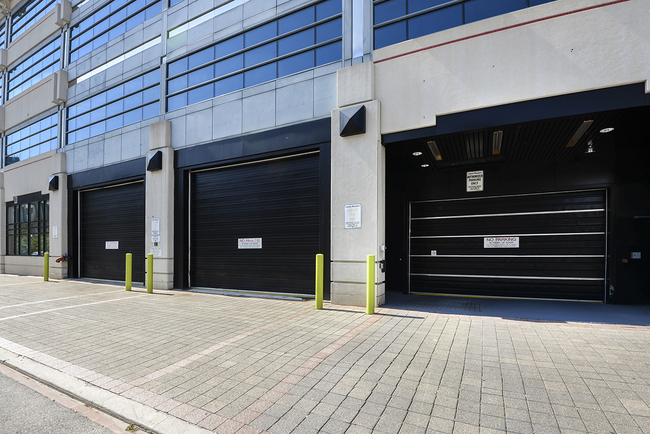 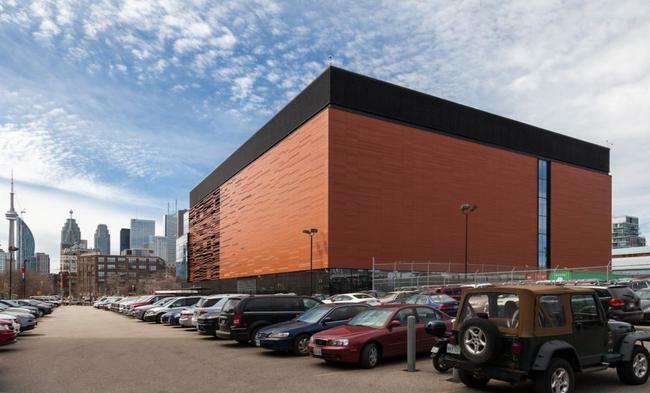 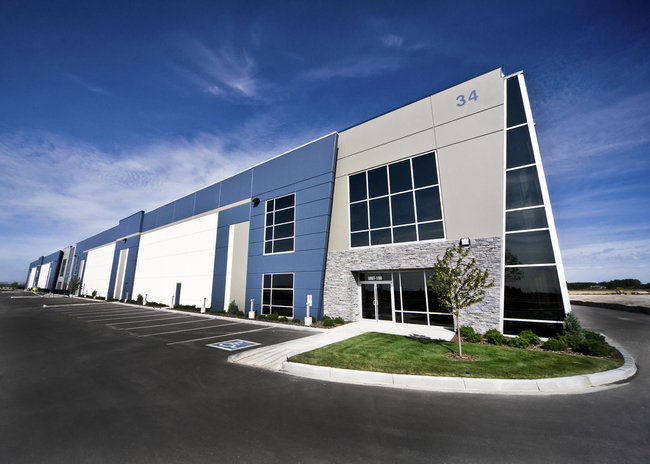 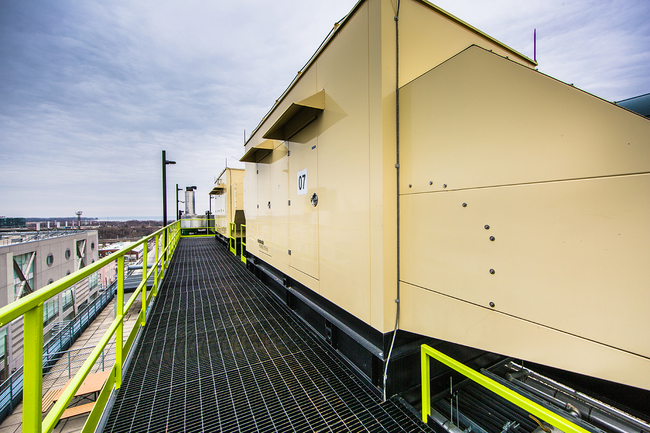 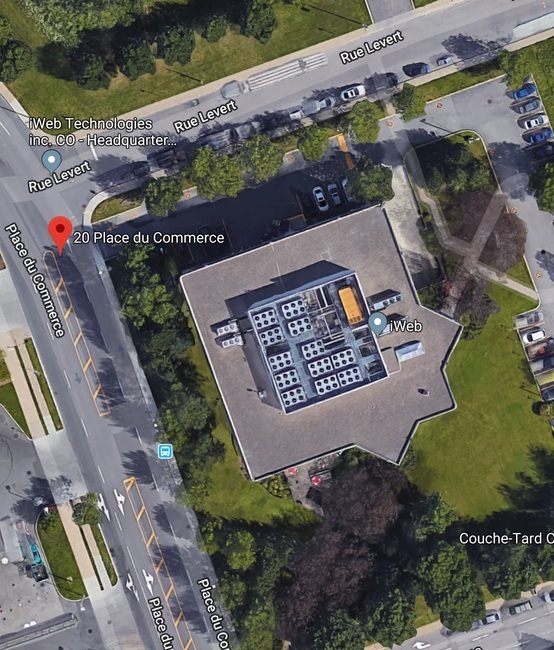 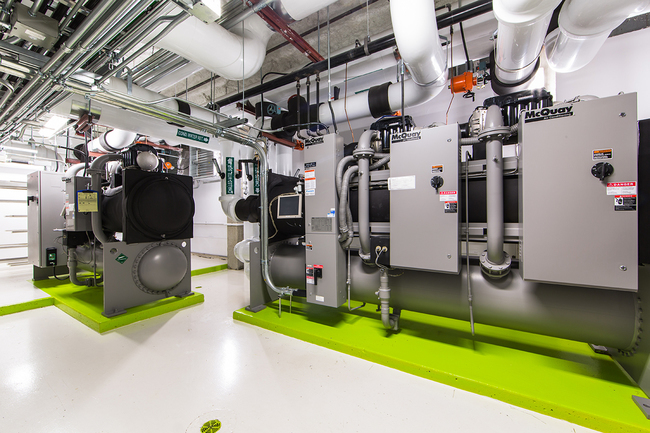 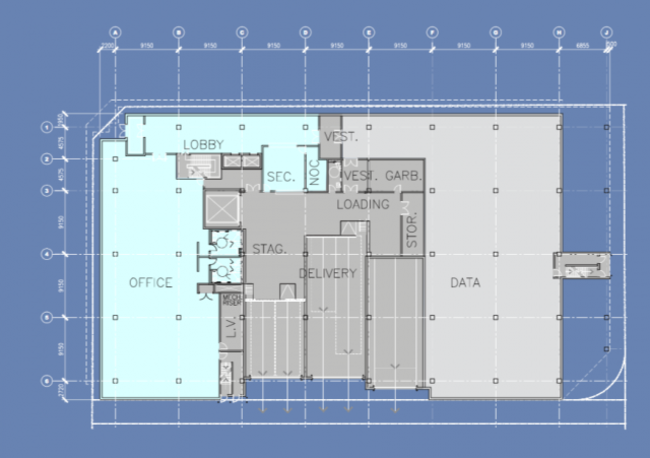 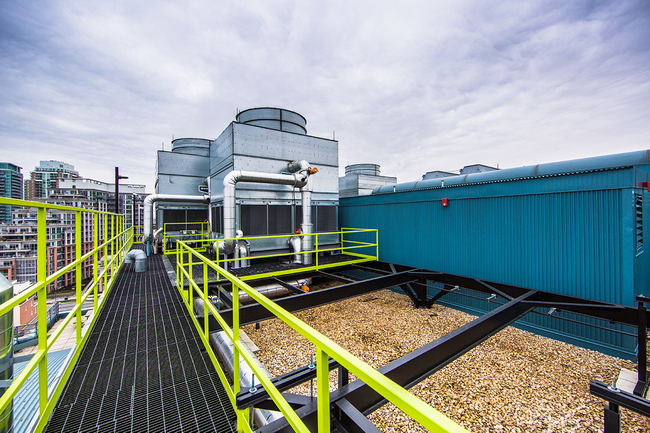 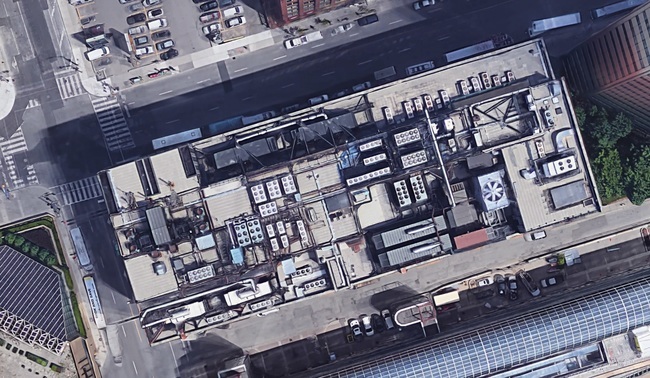 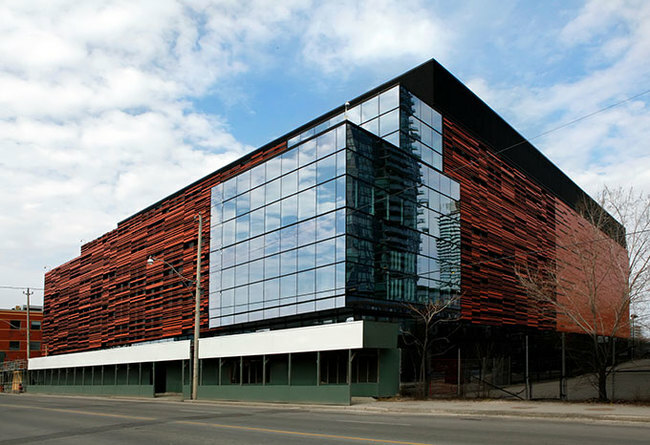 Cologix’s second Toronto data centre site at 905 King Street (TOR 2) was built using standards for concurrent maintainability for space, power, mechanical systems and security. 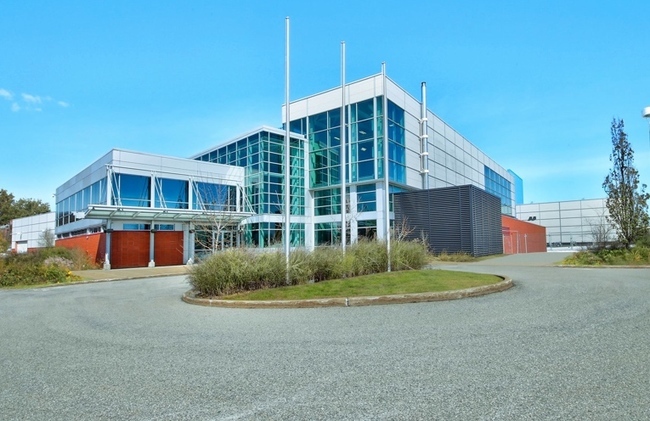 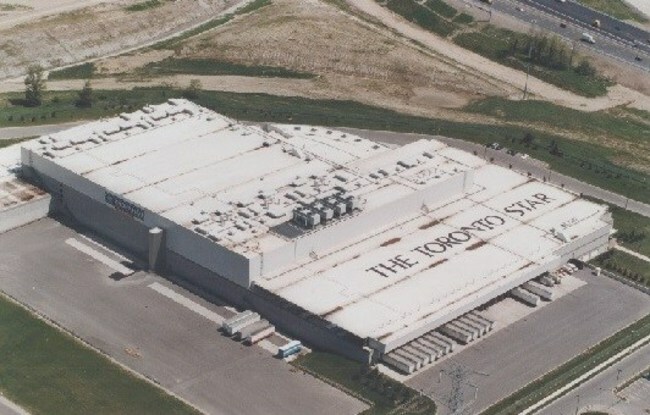 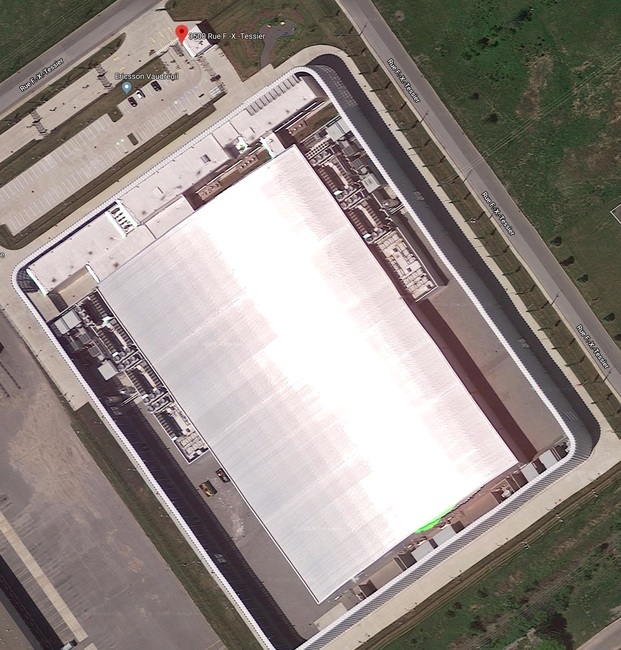 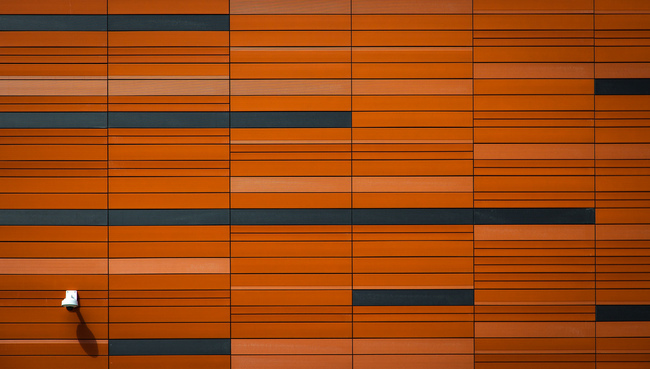 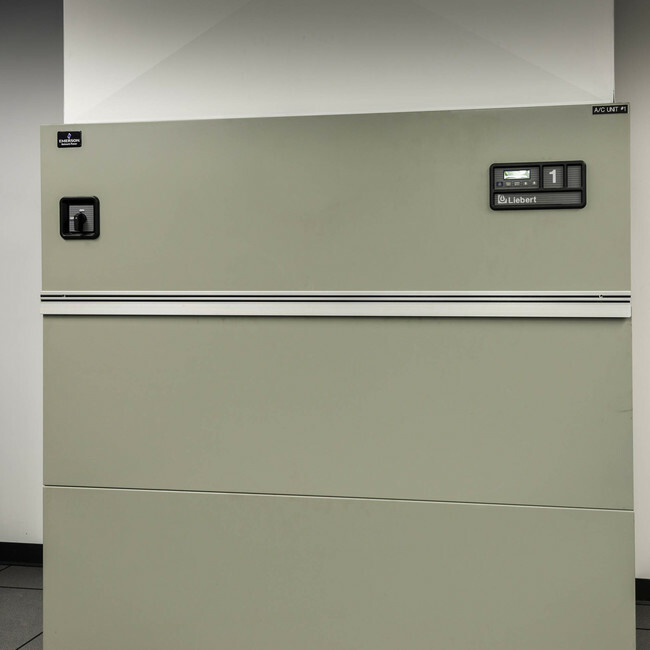 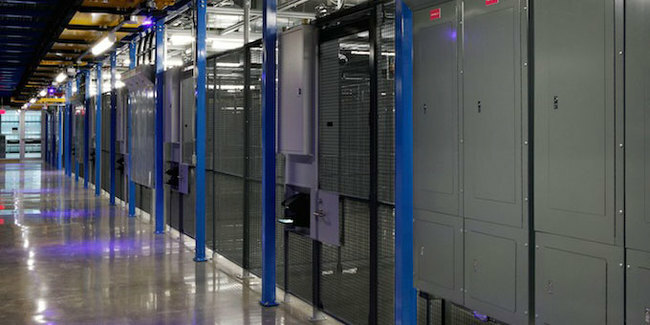 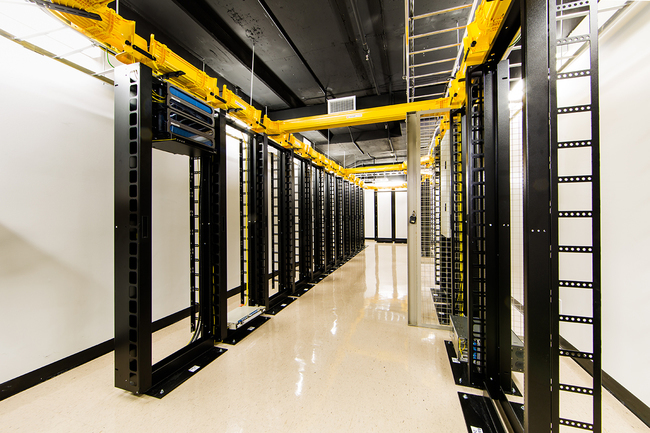 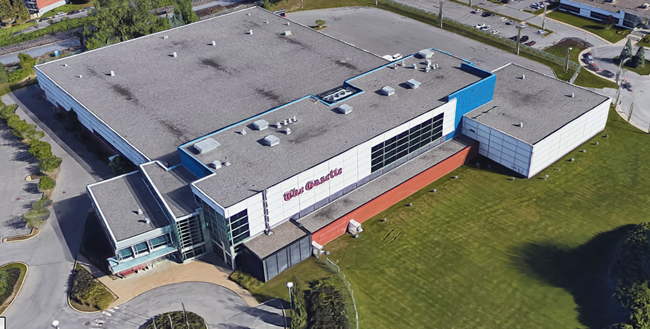 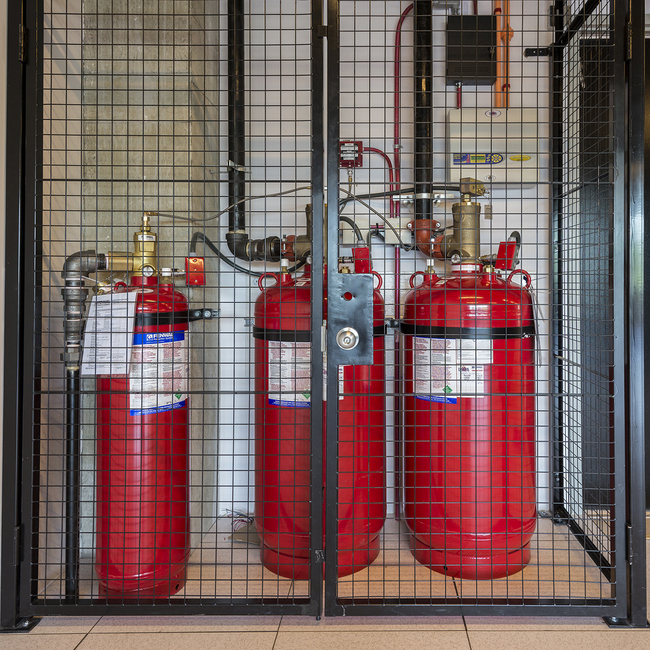 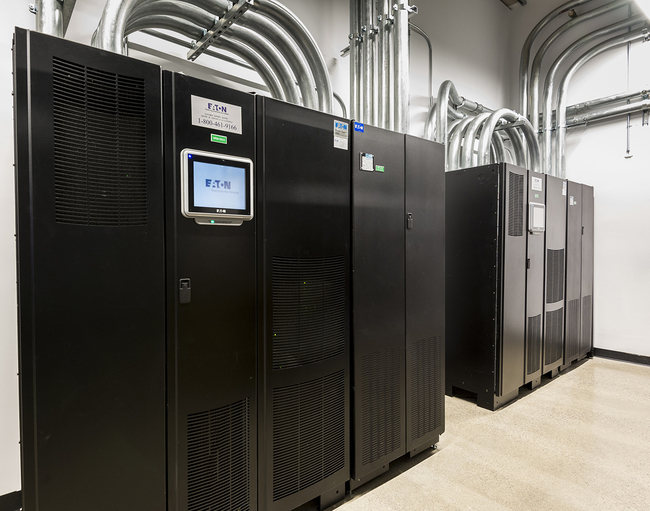 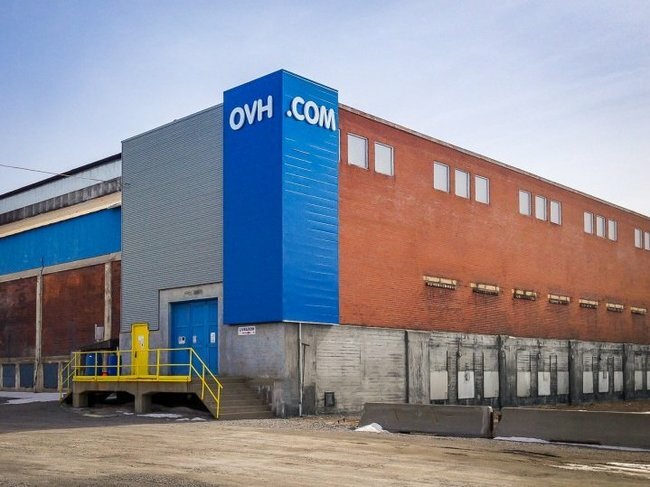 The TOR 2 data centre can be utilized as a stand-alone, diverse bypass facility to Cologix's TOR 1 data centre at 151 Front Street. 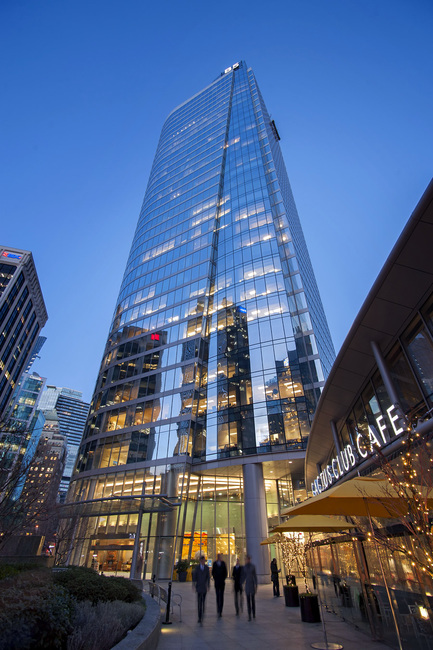 TR2 has metro connections to TR1, which is home to one of Canada's largest financial trading ecosystems. 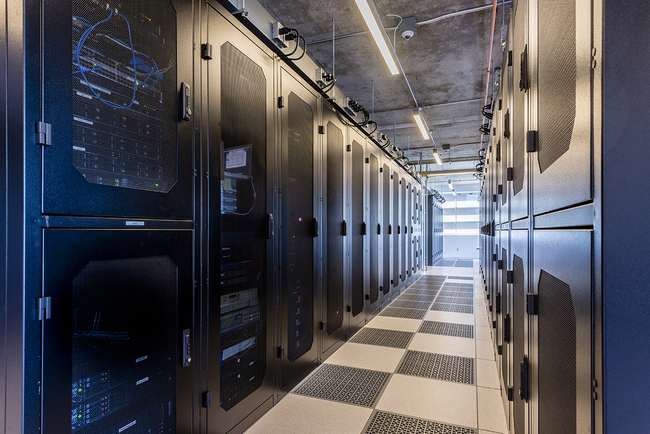 TR2 hosts Internet Exchange, Ethernet Exchange and Equinix Cloud Exchange™ connectivity to TR1. 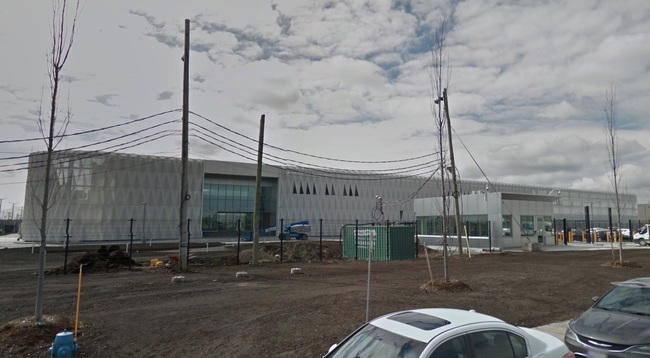 The I.C.E facility in Markham can expand to 6MW and 60,000 sqft. 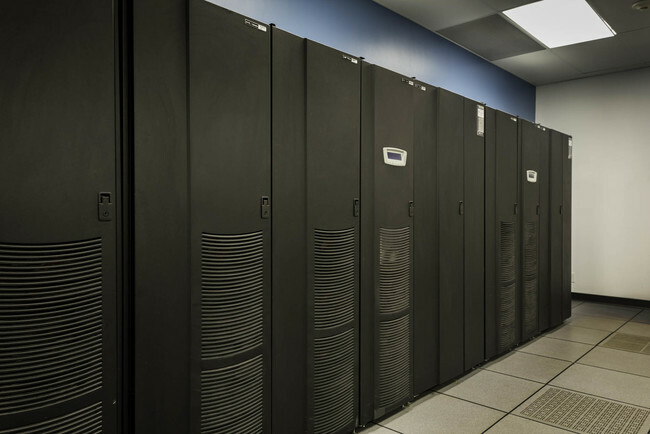 Toronto is Canada's largest data centre market, but the Province of Quebec has been growing fast with its access to inexpensive hydro power. 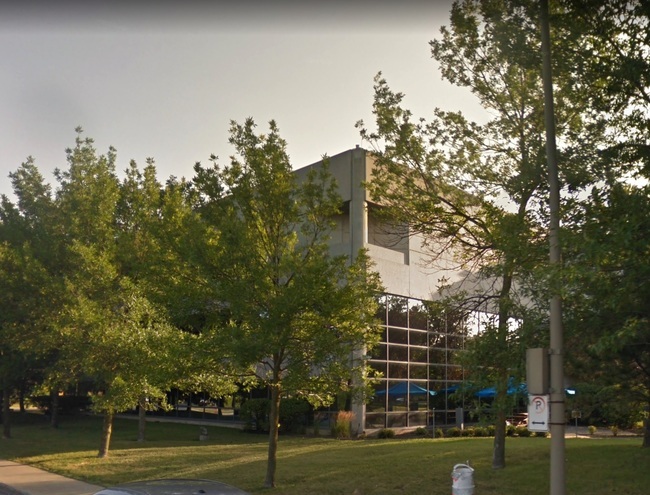 It's hard to get a good shot of the building with so many trees. 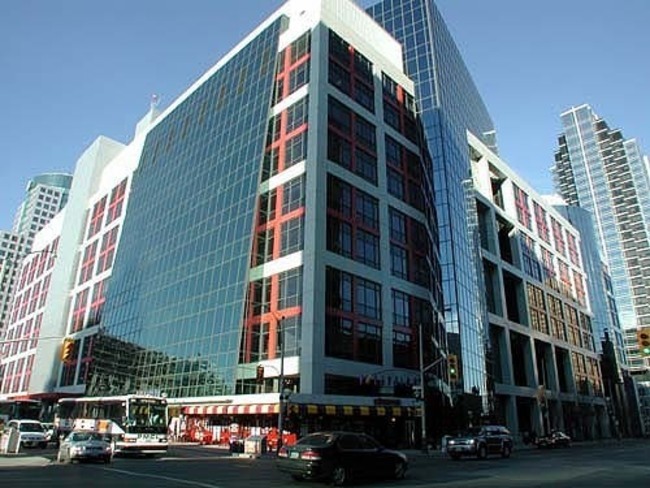 The Montreal Gazette's printing plant on St-Jacques St. when it was brand new in 2002. 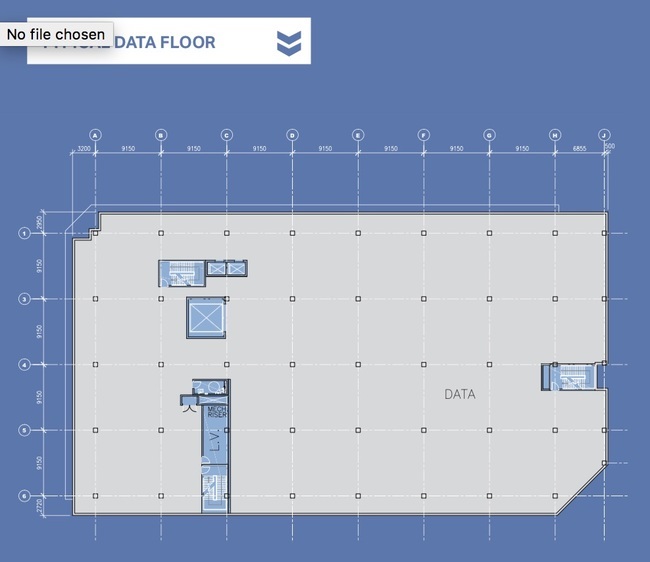 It was sold in 2017 to a data company. 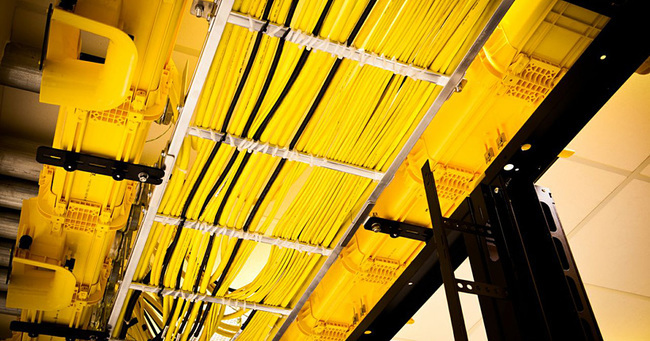 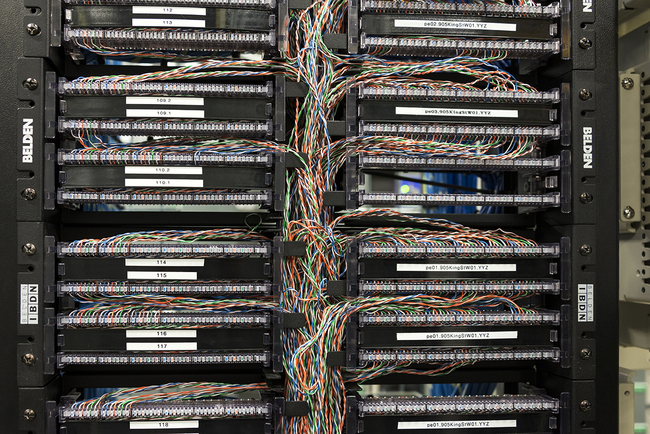 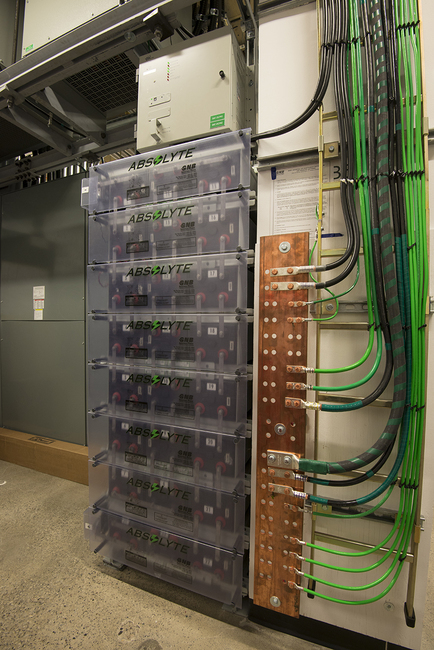 Large fiber trays are needed to support all the interconnection at Toronto's carrier hotel.